Protesters with the KKK sign outside Channel 10 studios this week. Activists organised a "snap" protest this morning targeting Studio 10 host Kerri-Anne Kennerley after comments that were deemed "racist" by co-host Yumi Stynes. The protests come following yesterday's on-air dispute between Kennerley and Stynes, who labelled Kennerley's criticism of Invasion Day protesters "quite racist". Activists arrived at Channel 10 studios this morning, with one sign saying: "Kerri-Anne KKKennerley". In the on-air spat yesterday, Ms Stynes labelled Kennerley's criticism of Invasion Day protesters inaction on increased rates of sexual assault in remote indigenous communities "racist", saying the comments were "not even remotely true." "OK, the 5000 people who went through the streets making their points known, saying how inappropriate the day is," Kennerley said. "Has any single one of those people been out to the Outback, where children, babies, five-year-olds are being raped? Their mothers are being raped, their sisters are being raped. "What have you done?" Ms Kennerley said in a piece to camera. "That is not even faintly true, Kerri-Anne. You're sounding quite racist right now," responded her co-host Stynes, before the two descended into an on-air dispute. The on-air spat has attracted wide social media attention, with Kennerley being labelled "putrid" defending her comments. 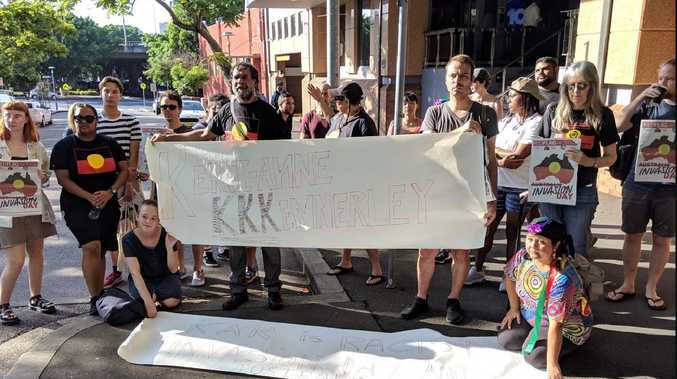 Protesters accused Kennerley of racism. 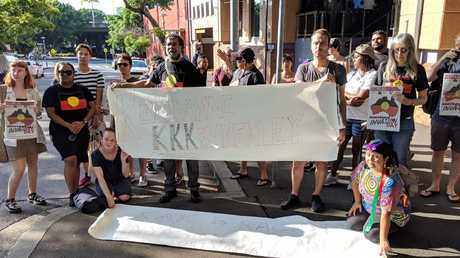 Protesters gathered outside the Channel 10 studios this morning to protest the assertions made by veteran TV presenter Kennerley, labelling them racist. One of the organisers has labelled Kennerley's comments a political play, "responding to the march," as opposed to a response to real issues. "She said there's only 5000 people (at the Invasion Day rally)," said Bruce Shillingsworth, who helped organise the Snap Action and attended the stand in at the entrance to Channel 10 this morning, which he said was "well attended by a little crowd of about 50." "The march (on Saturday) had over 50,000 people," Mr Shillingsworth asserted. "I'm from the country, out west, so (Kennerley's comments) were a big insult for our people. "How are people allowed to say these things on national broadcasters and get away with it?" "She trying to (take the conversation) down a negative road. You've got a lot of non-indigenous people out there supporting these issues. She doesn't know the facts." Mr Shillingsworth said. "We should be looking at Australia coming together. "She needs awareness training. She needs to learn about Australia's history. "If she is so caring, how is she helping our community? By insulting them on national television? By saying we're all rapists?" Stynes declined to appear on the show today, posting on her social media that she was giving herself the day off. "I was booked to come in to showcase a recipe from one of my cookbooks … INSTEAD, I decided to give myself the day off. 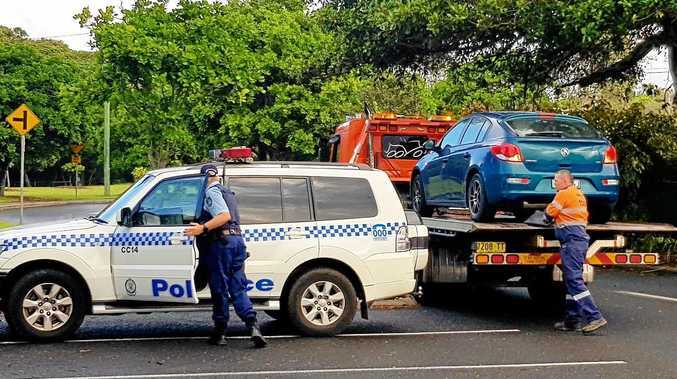 This is not because of what happened today between Kerri-Anne and I," Stynes wrote. "I am feeling stable and calm and like I'm on the right side of history. Everything is OK. I'm not coming in because I really urgently want to lie around and do nothing. It's very important." Protesters at the 'snap' rally against Kerri-Anne Kennerly this morning. One of the protesters Elizabeth Wynmarra said in a lengthy video: "There was more than 5000 people who marched in that march, and how do I know? Because I was in (it)." Ms Wynmarra is an actor and author, who has written and appeared in the acclaimed Black Comedy series. "If I'm swearing and I'm offending you, f****** good because you're offending me!" "You are racist. Last time I checked, I don't see you coming into my house, or my community, and helping me. So who are you to be pointing your finger at people going to marches and making out they don't go to communities and help? "For that matter, how do you know all those Aboriginal women are getting raped and not getting educated? Do you know that for a fact? "Last time I checked you've been in the game a long time Kerri-Anne, so you gotta back your statements up. "You need to check yourself Kerri-Anne." 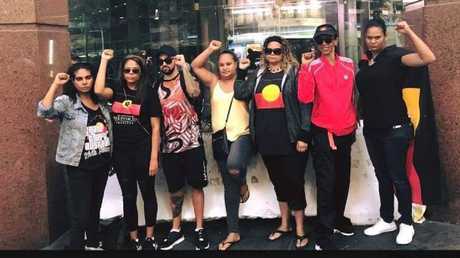 Ms Wynmarra ended the video by thanking the protesters who turned out in Sydney and Melbourne. "Peace and solidarity!" she said. Studio 10 attempted to tackle the controversy today by inviting on Greens MP Lidia Thorpe and Alice Springs councillor and Country Liberal Party candidate Jacinta Nampijinpa as panellists to discuss Kennerley's comments. Ms Price called for indigenous Australians to start taking "taking responsibility" and "calling out" the offenders of sexual assault, claiming her and her mother had been victims of the problems Kennerly highlighted. During the segment, Kennerly accused Ms Thorpe of being racist when she was accused of engaging in "white privilege." One of the organisers of the protest told news.com.au they found the Studio 10 coverage with Ms Price and Ms Thorpe "quite disgusting." Social media users are calling for Kennerley to be dumped from her Studio 10 hosting gig after her on-air spat with Stynes. "I don't understand why Kerri-Anne Kennerley has a voice on air today. Her time's up,"
Twitter user Kevin Bathman said: "Just another day on Australian TV with Kerri-Anne Kennerley and her casual racism. Can they dump this revolting has-been already!" Comedian Andy Thompson backed up the other user's views, writing "I think the question we all need to ask is what the hell is Kerri-Anne Kennerley still doing on television." Some called for Ms Kennerley to visit the Outback herself, while others labelled her comments vile, inflammatory, ignorant and racist. University of Melbourne anthropology Professor Ghassan Hage said the Kennerley-Stynes saga "sums up our era when racists are not offended for demeaning and debasing people with uninformed stupidly-presented half-baked truth (otherwise know as 'White facts') but offended that somebody calls them racist for being so." But one man said it was not racist to point out issues in indigenous communities.